Fire up your DVRs, Harry Potter fans! 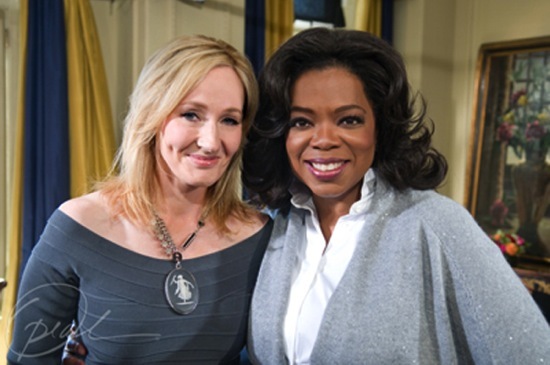 J.K. Rowling will make her first appearance on The Oprah Winfrey Show this Friday, October 1st. Oprah says that the interview, which was already taped in Scotland, is one of the most interesting she’s ever done. In this rare interview, Rowling speaks candidly with Oprah about her life and career as well as her journey to becoming one of the most recognizable writers of children’s literature today. Rowling also shares her thoughts on the possibility of ever writing another Harry Potter book in the future. Go here to find out when The Oprah Winfrey Show airs in your area.